An LGBTQ flashmob which was presented by SCRUFF and organised by Those In Need at HauzKhas village broke the stereotypes around the community with the help of powerful messages and an even more powerful dance. Soon after the freeze-mob, the beats of Dhol started which brought everyone together and the participants danced with joy along with an expression and strong sense of pride. Towards they end, the atmosphere was filled with positivity, emotions and the crowd around merged with the participants and danced their hearts out. After the dance, participants shared their own experiences with everyone and talked about how a positive change is coming gradually but steadily. Some of the participants shared how their parents now accept their kids the way they are. The dancers were fearless and confident and interacted with the crowd and also answered their questions about general myths and stereotypes. The crowd around was also brimmed with happiness to see an event like this happening in Delhi. SCRUFF is one of the largest GBTQ dating apps, as well as a travelling guide and social network. Originally targeting gay men, SCRUFF has become an example of the most inclusive and diverse platforms worldwide. Those In Need is a Not-For-Profit organisation child of Lending Hands Foundation – which has as mission to work for the welfare of minorities. Through civil society engagement, volunteers support community development by organising resources and obtaining an effective response,. Those In Need provides a network platform to various NGOs, volunteers, educational institutions and others to maximise the impact of their philanthropic efforts. Ace Fashion Designer Ritambhara Paliya launched her AW’18 collection The Silver Saga at Gen-nex India fashion show Actor and Television Presenter Sonam C Chhabra walked the ramp and closed the show for The Silver Saga as a showstopper. 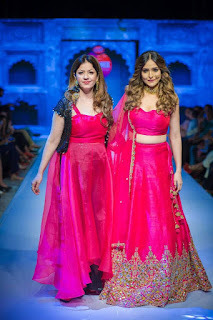 The fashion show took place recently in Delhi’s Roseate House. The Capital city is all set to witness the grand finale of Opera Miss/Mrs. India Global 2018 on 22nd September 2018 at Golden Tulip Suites, Gurugram. The event is the real contest with the real trademarks produced by Opera Media & Recreations Pvt Ltd. Opera Miss /Mrs India Global 2018 is supported by Hindi Gaurav that has existed since 2010 in Sydney and organises regularly many pageants every year in various cities of Australia. 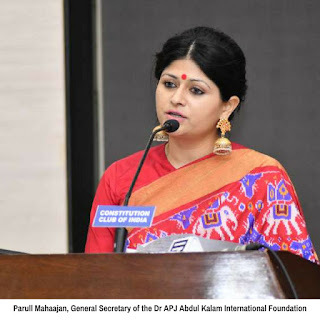 Dr APJ Abdul Kalam International Foundation organised a Memorial Day Function to commemorate the 3rd death anniversary of Dr APJ Abdul Kalam at the Constitution Club of India. The Chief Guest for the program was Dr Jitendra Singh Hon'ble Minister for Prime Minister Office, Development of North Eastern Region, Personnel, Public Grievances and Pensions, Atomic Energy and Space and Guests of Honour were Sh Muralidhar Rao National General Secretary BJP, Sh D.R Karthikeyan, Former: Director CBI, Director General National Human Rights Commission, Special Director General CRPF and Sh S.M Khan, then Press Secretary to Dr Kalam who shared their experiences with Dr Kalam.